Photos taken at the Igorot Stairway beside Barrio Fiesta, upper Session Road, Baguio City. 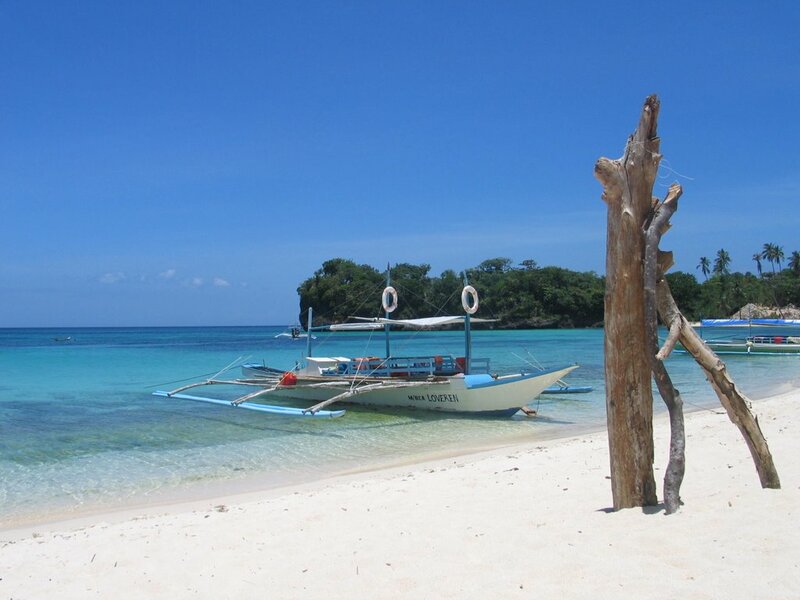 Boracay: a place of fun and sun-loving people, powdery-white sand, sarongs, native-inspired beadworks, bracelets and necklaces, henna tattoos, and local creativity! From the furniture made of indigenous materials, driftwood and bamboo, to the simple yet festive jam bottle lamps. We did not see these lamps the past couple of times we have been to Boracay, but then again we were either busy shopping for trinkets or basking in the sun or swimming to notice these simple details. We were having dinner at the Hobbits when we noticed our table lamp while waiting for our order. We asked how it was made and we were delightfully surprised by its simplicity. The above photo is from the Hobbit's House. 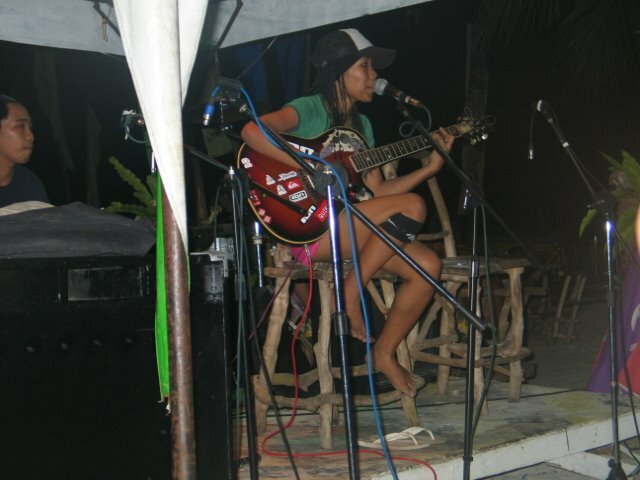 The smaller photo is from another venue where we listened to acoustic music by the beach and under the stars. Interested to make your own Boracay-inspired lamp for your party? 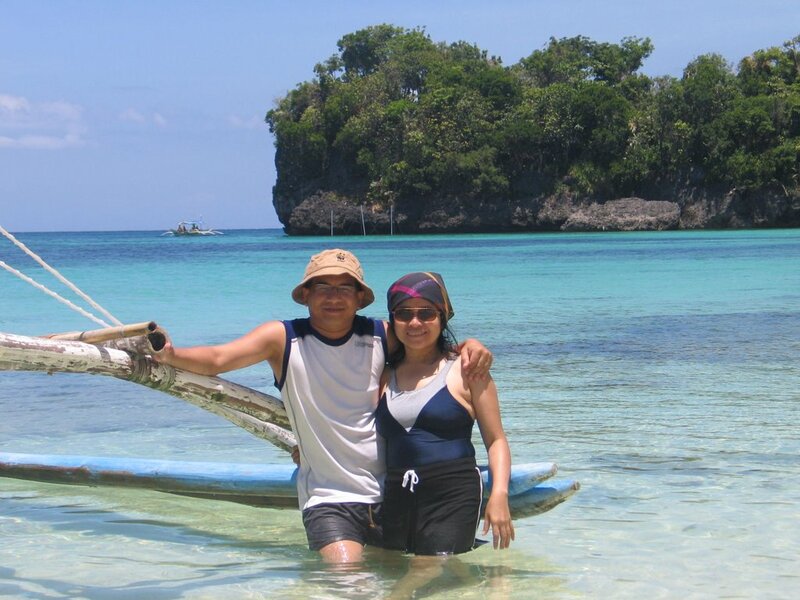 Here are the things that you will need: a jam bottle or any wide-mouthed receptacle, some sand or pebbles, a thin pice of wooden stick (they use matches in Boracay), some cotton, used cooking oil, an white bond paper (optional). Procedure: Put sand or pebbles into the jar, then pour used cooking oil, making sure that it wouldn't submerge the stick. Cover the wooden stick or match with cotton and plunge this into the sandy/pebbly bottom, exposing about a third of the stick above the oil. 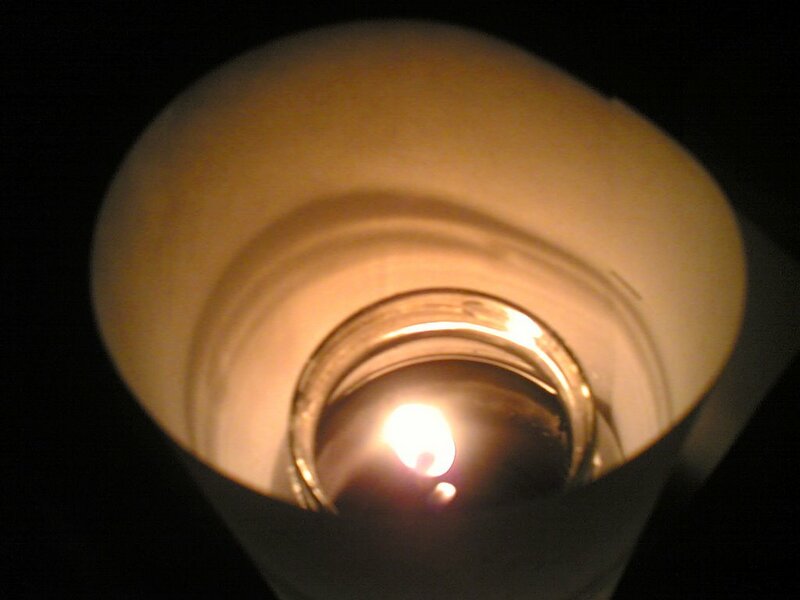 Allow cotton to absorb oil, then light up the stick. For effect, cover the side of the bottle with white bond paper. Voila! 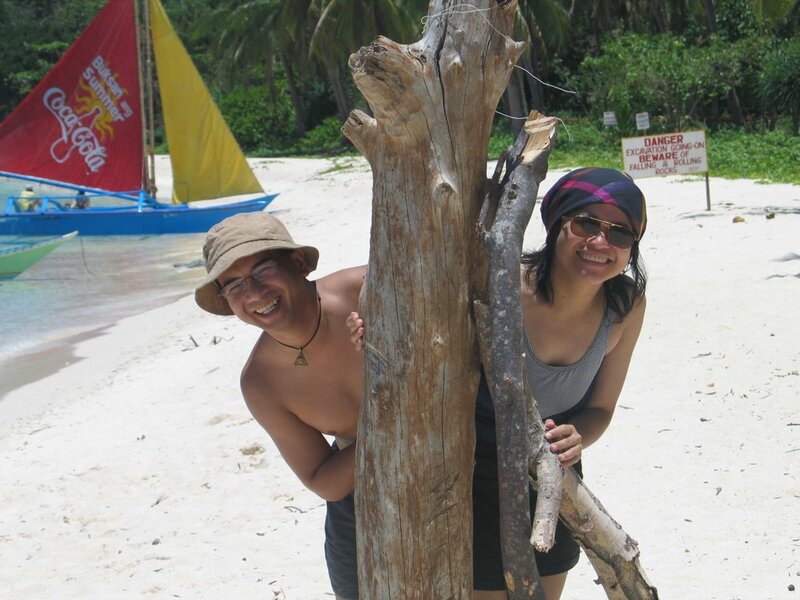 A Boracay-inspired lamp AND a cool way to recycle used cooking oil. But don't leave these lamps unattended, y'hear? Toni of Wifely Steps started the Ref Door Project which is a collection of photos featuring no other than your ref door! It's really quite simple to join in the fun. Just take a snapshot of your ref, describe it, and advise Toni about your post and she will make an update on a Monday. I have a varied collection of toys, mostly 70s and 80s anime merchandize (Voltes V, Macross, Mazinger Z, among others) and Star Wars stuff. I even bought a cabinet to house my collection. However, my passion has dwindled quite a bit because it is an expensive hobby and I would rather spend for baby Jo-Lo these days. Plus, there's no more space in the apartment! Toys can be seen on top of the TV, on shelves by the kitchen, on the stereo system, beside the photos, practically everywhere! The ref was not spared. 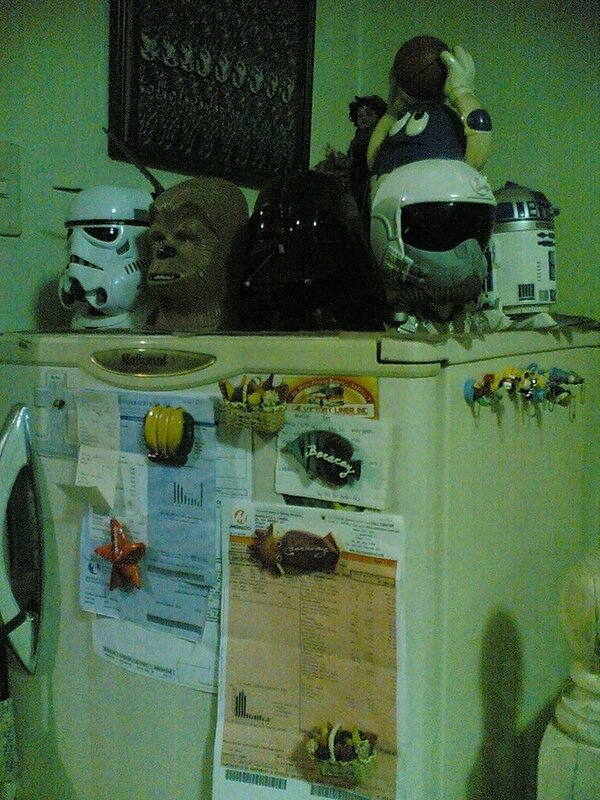 On top are Star Wars busts that my brother Doods sent me some months ago. I have cleared out the top of the ref before of -- you guessed it: toys -- and put them in storage but these "new" arrivals will have to content themselves with the ref's top for the meantime. My door magnets are mementos of travels to Boracay (marine creatures galore) and my hometown of Baguio (the fruit baskets). They keep tabs of my utility bills. There were lots before, but we sometimes have our friends' kids over and they would pull out the bills with the magnets flying all over the place. Damage was inevitable. On the side are Disney magnets I got from 7-11 last Christmas. So what does your ref door look like? Take a shot, talk about it, and let Toni know! I do not want to taint the reputation of Boracay in this succeeding paragraphs. Heck, we love the place! But this needs to be said so others can be informed. Going to a popular tourist destination during peak season is like a double-edged sword. One one hand, it's great to see the place spruced up, ready to entertain guests with a myriad of activities. On the other, the cost can be quite prohibitive. 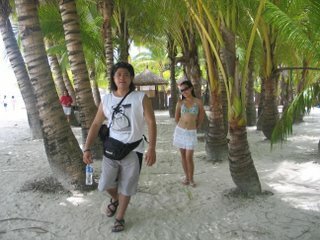 This is the third time my wife and I have visited Boracay. As is customary, we rented a boat on the second day for snorkeling and a sumptous lunch prepared in one of our destinations. 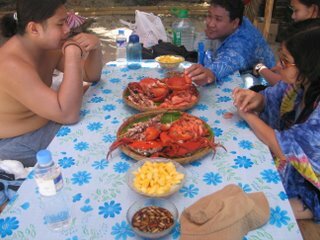 We were able to get a boat and a guide for 1,500 pesos. Pretty much the same as the past year. 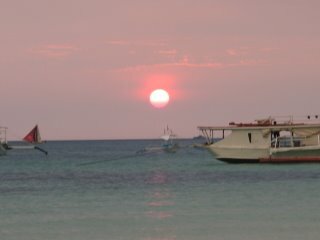 When we were boarding the boat, a man approached us and charged 100 pesos for the boating association fee. I'm not exactly sure how we have anything to do with with their organization; after all, we already have negotiated the service fee of the boatman. But we have to be off; it will be high noon in a couple of hours. So we paid and left. We promptly left for a snorkeling area. 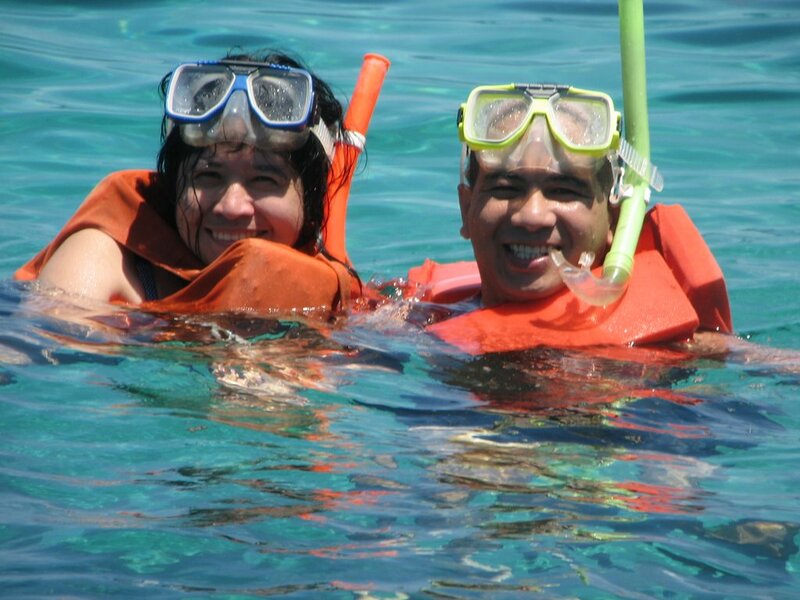 Imagine our surprise again when our guide informed us that the snorkeling gear will cost us 100 pesos each. Eh? That came with the package, didn't it? But of course we are expected to snorkel! 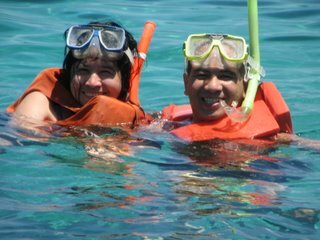 But it would have been a waste not to see Nemo and Dory so we got the snorkel gear. Shortly after this little adventure, another boat drove by and the driver alighted on our boat. He was charging us 20 pesos each for snorkeling fee! What the. We did not pay for such a fee the last time we were there. We were told it was for the development and upkeep of the snorkeling area. Strange how all these fees cropped up at peak season eh? We paid and get it over with. I do hope it is indeed used for the upkeep of the area. We visited Boracay to relax. But people coming over every time we did something to charge us was not something we had in mind. 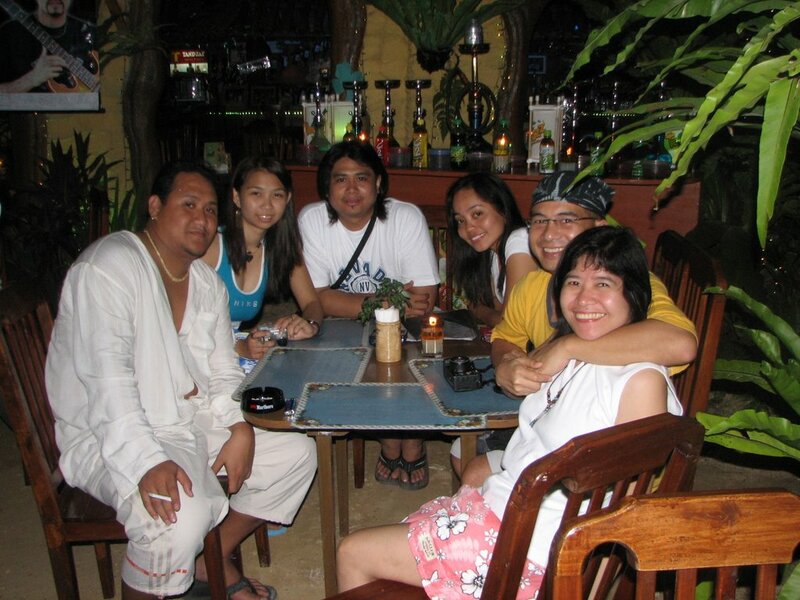 One of our companions whose first time it was to be in Boracay promptly commented, "Lahat pala ng galaw mo dito, may bayad" (you have to pay for every move you make here). That certainly hit the spot. Which made us wonder: if we do the banana boat, are we going to be charged with a banana boat association fee, and then a banana fee after the ride? What about paragliding? Will somebody paraglide with us in mid-air to charge us fees? 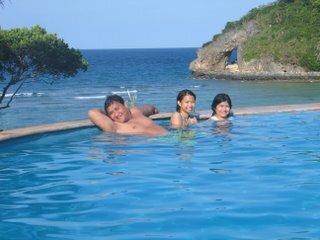 And when we leave Bora, will be pay for an exit fee? 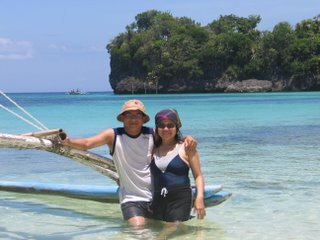 Even the tricycles we used to ride to and from the beach and Fairways and Bluewaters charged us differently each time. At times 10 pesos each, in other instances 35 pesos each. 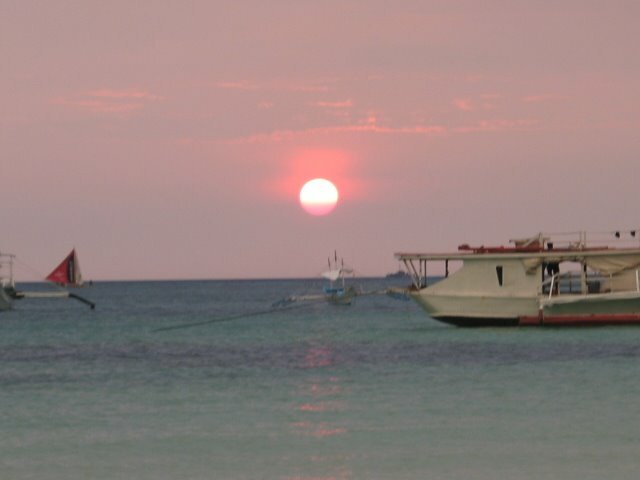 I sincerely call on the local government of Boracay to hand information pamplets or prominently display fixed charges for everything so guests like us will not be caught unawares. Or the people peddling these services factor everything in so guests do not have to pay for these rather disgruntling extra charges. 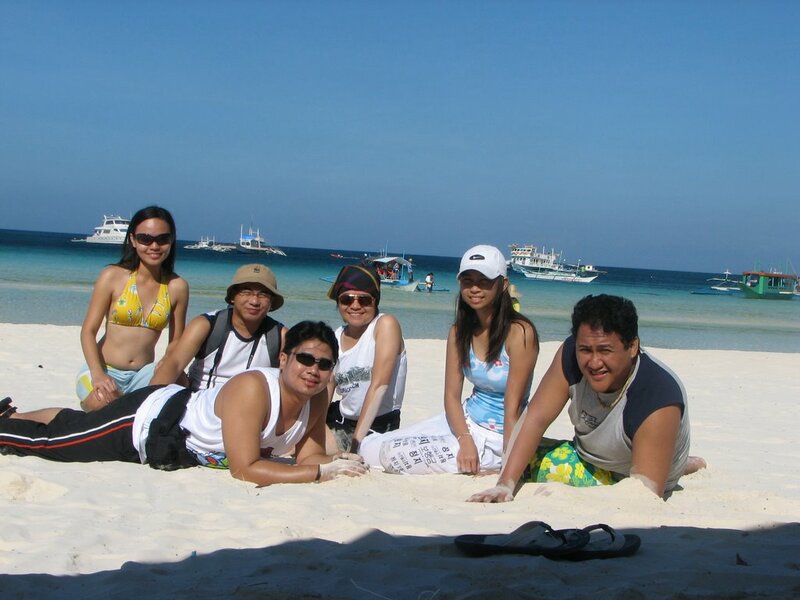 This experience rather dampened our high expectations of Boracay. That said, here are photos of our more enjoyable moments in Boracay, which is thankfully more than these money-ridden boo-boos. Kudos to the chefs at Fairways and Bluewater for the excellent meals cooked for us during our stay there! I was in good company last weekend. First off, there was Spongebob's best friend Patrick Starfish. He's a prize from a UFO Catcher. Igor has become so adept at UFO Catchers that he already has quite a bounty at home. 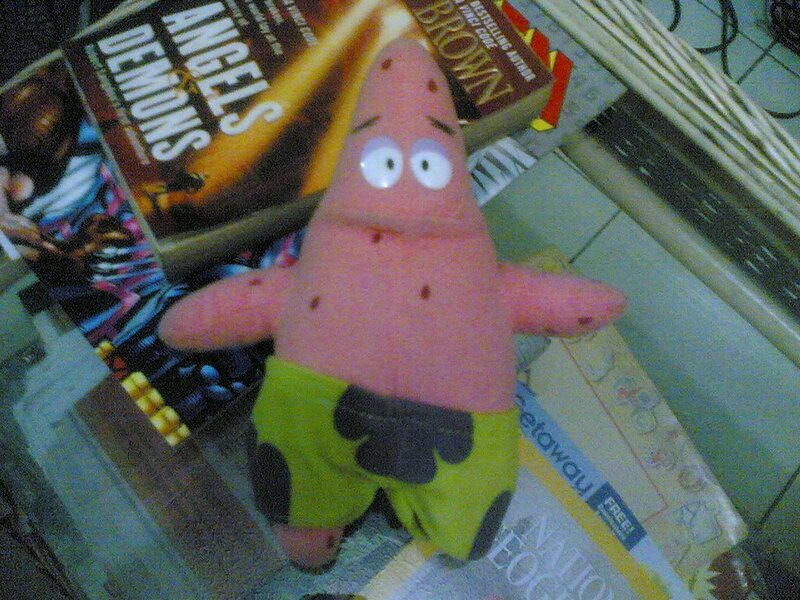 When he sent me an MMS about his latest exploits, I immediately asked if I can have Patrick Starfish. He acquiesced. A Woodchuck will keep Patrick company. Thanks Igor! I also had the good fortune of borrowing a couple of books from Ruben, a camping buddy. He has been harassing ... or rather influencing me to read Dan Brown's Angels and Demons whose main character is University Professor Robert Langdon of The Da Vinci Code fame. I must admit, I'm quite engrossed with this book. Which is strange, really, because I had the chance of getting a copy of Da Vince Code months before but only got to the first three chapters. I found it cumbersome to read. But this one, Angels and Demons, is filling up my spare time. A very interesting read it is. In fact, I have learned some things along the way. About Masons and the Illuminati, about ambigrams and the pyramid at the back of the US Dollar bill and the all-seeing eye (which, incidentally, i have a pendant of. Intriguing.) Excellent writing. Very direct and readable. Dan Brown rarely uses flowery words to get his message across. 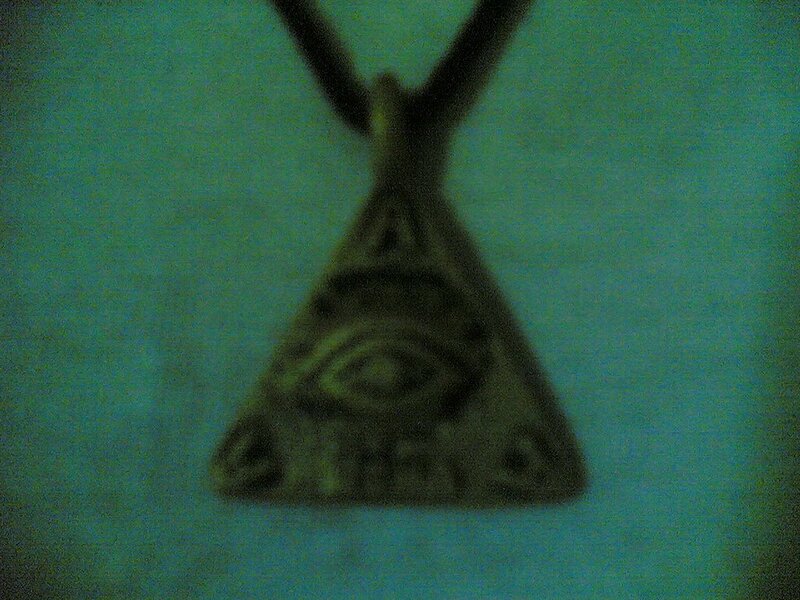 Perhaps when I'm done with it, I'll proceed with Da Vinci Code. I won't go into the specifics lest I spoil it for you in case you haven't read it yet. 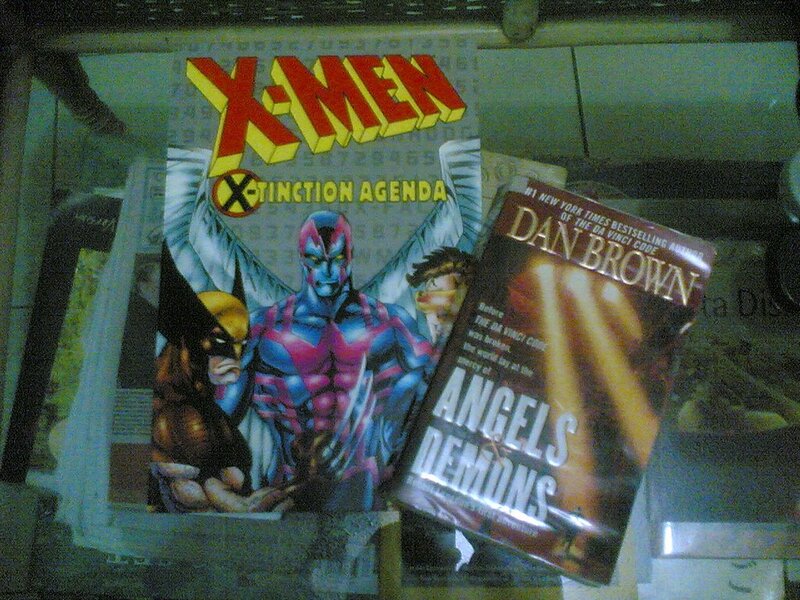 The other book I was able to borrow from him is a graphic novel: X-Men's Extinction Agenda. The country of Genosha, a progressive country, has declared war on the mutants and have gone so far as to kidnap them for trial on Genoshan soil. The first target of violence, however, were on The New Mutants: kids affiliated with X-Factor and the X-Men. Other than learning of the unfolding events via TV news channels, the others have no idea what lay ahead of them as they attempt to rescue the kids. 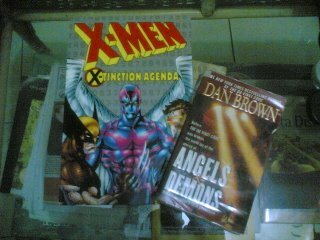 I am an X-Men fan and have followed their adventures to a degree. Things got pretty mixed up though when Professor X died at the Age of the Apocalypse and I was no longer able to follow the stories. I finished this book in one sitting. I can't wait for X-Men 3 to hit the theaters! 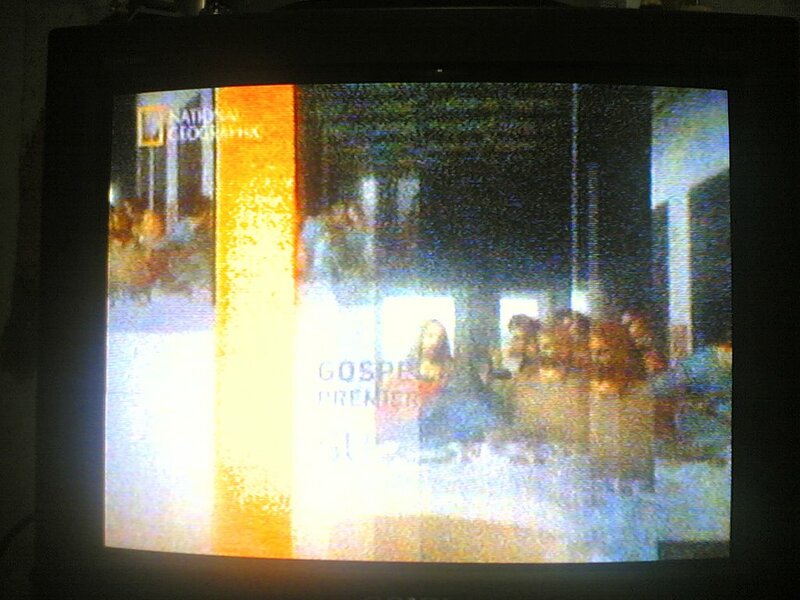 And finally, last night I was able to watch National Geographic's The Gospel of Judas. The 2-hour documentary details how the manuscripts were found, how the badly-damaged pieces were painstakingly put together, and how they verified its authenticity. 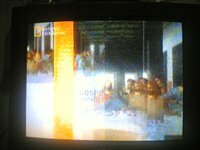 - there are more than 4 gospels. How many more? 30-plus more! There's the gospel of Thomas, the gospel of Mary, etc. At the time of the Christian persecution by the Romans, an authority in the early Church decided that with all these gospels available to everyone, it was quite difficult to give a definite theme to the story of Christ. If one were to die for the name of Christ, it is best that the person knows specifically what he is dying for. Hence only 4 gospels were chosen to be included in the Bible. Why only four? Because there are 4 corners of the earth (and other 4's I cannot remember) with Jesus at the center. Matthew, Mark, Luke, and John's gospels were chosen out of popularity, though the gospel of Thomas was also quite popular then. A man named Ireneus (or so pronounced) made these choices. The method of choosing though, are debatable. 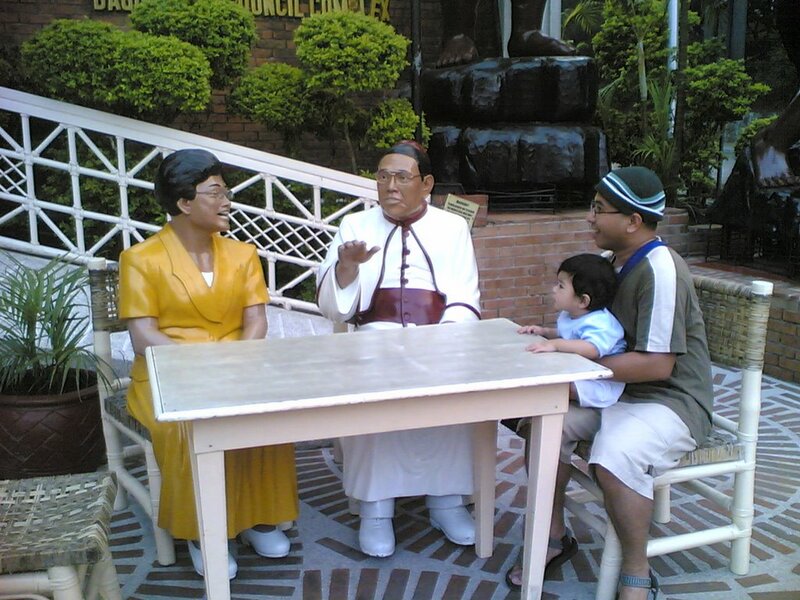 - The gospels were written after the time of the people to whom the gospels are attributed to. All these - including the 4 gospels - were not written by them but by now-anonymous authors. - There were no places of worship then. People gathered in houses to listen to the gospel. The person who reads and teaches were called nostics. 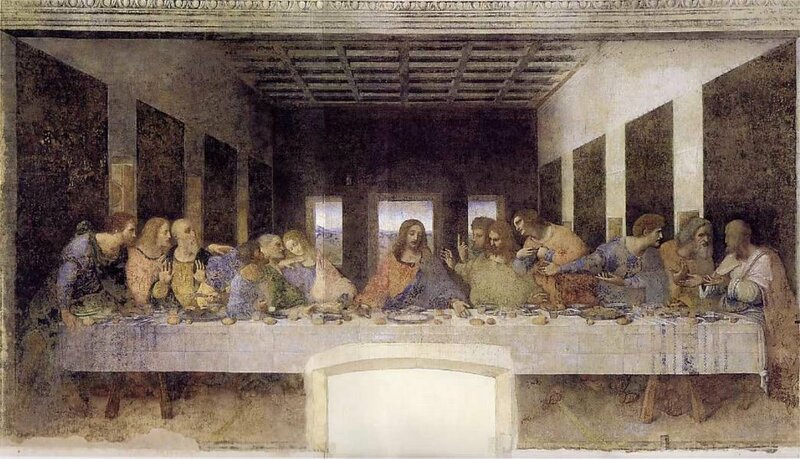 - In the gospel of Judas, Judas was depicted to be having a close relationship to Jesus. So close that the other apostles grew jealous of him. Jesus revealed to Jesus the secret of the kingdom of heaven. - Jesus apparently instructed Judas to betray him because it had to happen. Judas did as he was told because he had a deeper understanding of Jesus and his purpose. So Judas is actually portrayed as a hero. - Jesus laughed often in the gospel of Judas. - Incidentally, the gospel of Judas ends at the betrayal. It does not talk of the crucifixion and the resurrection. The gospel implied that for Jesus to fulfill his destiny, he had to be set free. Free of his earthly body. This was the ultimate spirituality. Hence this gospel - including others with a similar message - was branded a heresy. How ever you will be celebrating the Holy Week, peace to you and your kin, and joy on Sunday! 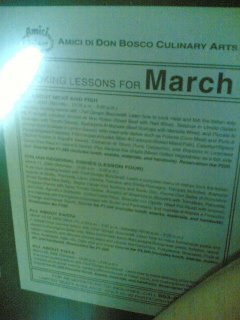 I have been hearing about this pasta place along Don Bosco since the early 2000 when I was a volunteer teacher at Pugad in Don Bosco. On Fridays after office, I would meet up with some friends and teach science or math from 7:00 - 8:00PM or thereabouts. Afterwards, we would look for a place to have dinner. We would usually end up at nearby Makati Square. My compainions would say, "there's a great pasta place just near here!" A shrug would be the reply and we're off to look for a place where we can satisfy our craving stomach. Oh wonder of wonders! Amici di Don Bosco is just round the bend! 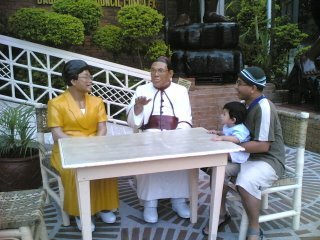 From the basketball court where the classrooms are located, we would exit by the Church. At the left side of the gate as we exit the parking area is the fable known as Amici! I have been there a couple of times this year and their food is great! 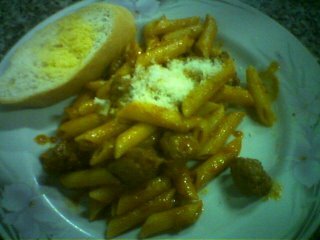 I am not a pasta person, but hats-off to Amici for their good food. In fact, their serving is just right for one person with a moderate appetite like me (ahem). And their pizza servings are huge! There's also an ice cream station for those who can still feel a small space in their tummy to fit a moderate amount of desert. Ummm... I haven't tried their pizza or ice cream yet but I do hope I can soon. Plus, they offer cooking lessons! Cook pasta and pizza the Amici way! The schedules are prominently displayed on the tables (underneath the protective glass covering) and on the walls. As for ambience, the place looks and feels like a cafeteria for that casual atmosphere and it definitely works. After all, pizza and pasta shoould be fun fare. I dunno, but these types of food make me feel like there's a party. Sorry, no beer here. It's right inside Don Bosco premises after all. There are bottled drinks though. For the pasta, expect to spend below 200 pesos, and it's worth every cent. *Yawn*. It was quite a boring week, really. 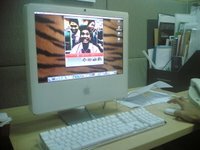 Other than purchasing an iMac because it had this new iLife software going on,Nothing much going on in the office so I decided to cancel all my appointments yesterday morning and call Harry and friends. 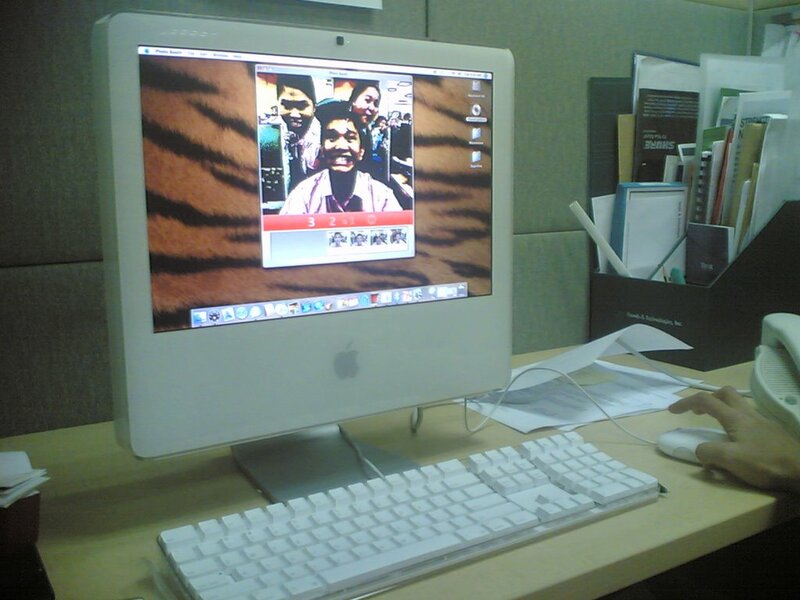 He dropped by the office in his BM and I said, "Dude, I'm so bored today. 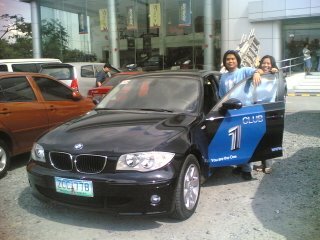 Let's go to the Auto Center near RCBC Plaza so I can check out the cars there and buy one today. Yes, I think I'd like a Toyota Innova, and when I'm done with that, I'll buy a BM too next week." So off we went to the Toyota center. We tried out the Innova and after a couple of minutes I bought it out of boredom. 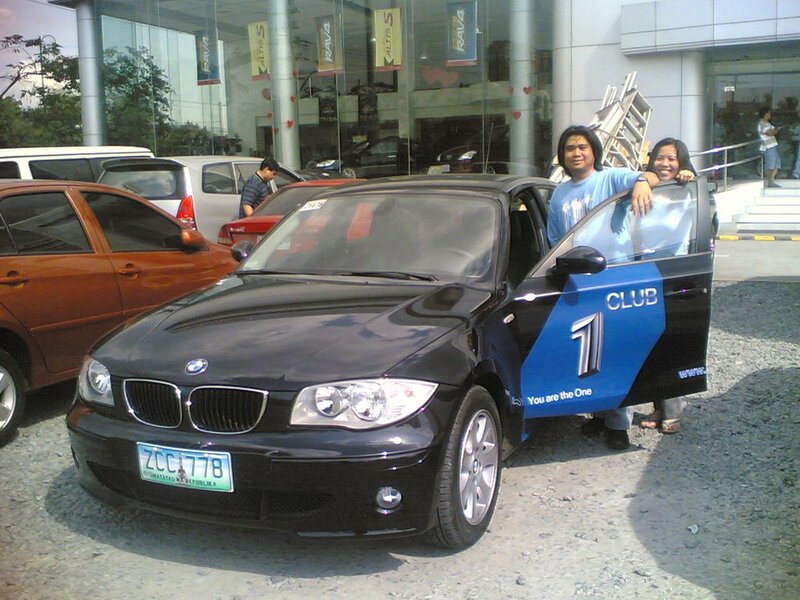 "Let's go to Baguio to break-in this car!" My companions heartily agreed. So we raced to Baguio via Kennon Road. 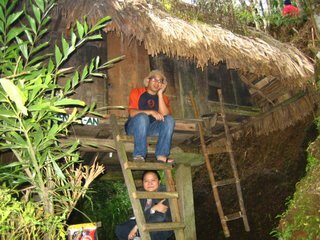 When we got there, I chanced upon this nice nipa hut. I thought to myself, "getting what I want is sooo boring. So why not give it up for one day just to try out the simple life? 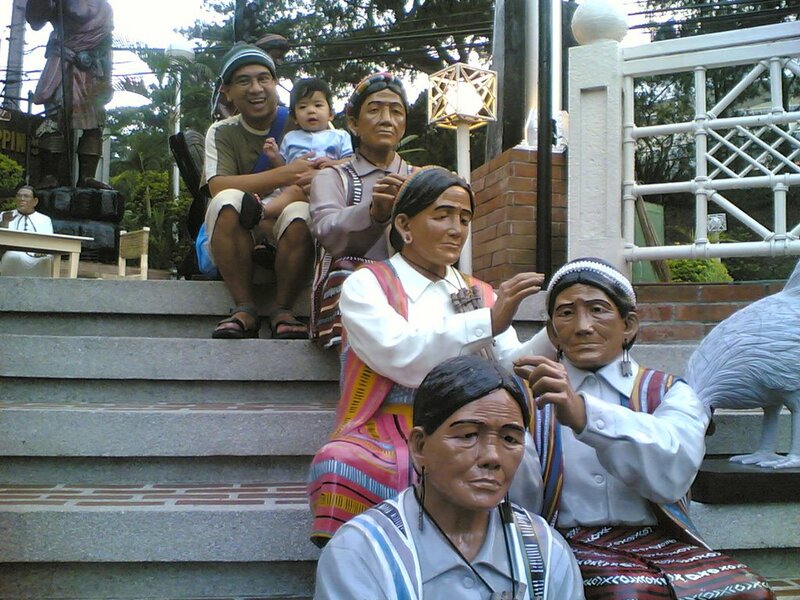 No aircon (I'm in Baguio! Yay! ), no TV, no bed, no couch, no computer, no internet!" So I resigned myself to a simple life. I bought the nipa hut and was determined to stay there. My friends just shrugged. Then my phone rang. 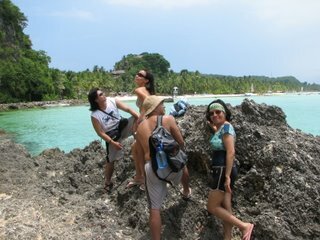 It was my other friends having the time of their life camping in Davao! We talked and laughed. I was staring at the ceiling. The call had ended a couple of minutes ago because my phone went dead. And this nipa hut had no electricity whatsoever. I shuddered. No lights? No bed? Not even a sofa bed? Aaaaargh. I ran for my car, with my friends smirking and running right behind me. 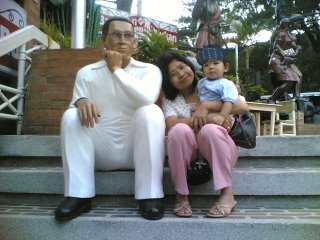 We drove back to Manila. And that, is how my boring day went yesterday.